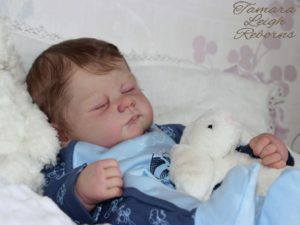 This stunning reborn baby by Jacalyn Cassidy will be a giveaway baby at the Rose Doll Show 2019. What a generous thing to do. Can you imagine being told that you have won this little princess. This darling baby has been handpainted to a super high quality. She will just melt into your arms for a perfect cuddle. This would be the icing on the cake for anyone attending the Rose Doll Show as who wouldn’t want to leave with a free baby. Even more so when the baby has been made to such a high quality. Of course you have to be there to be in with a chance of winning this sweetie. So anyone that attends to show will be hoping to win this amazing baby. 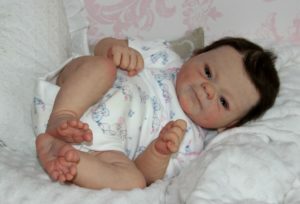 Jacalyn has such talent that anyone will be super excited to be taking this gorgeous doll home with them. So as if you needed another reason to go to Rose this could be it. 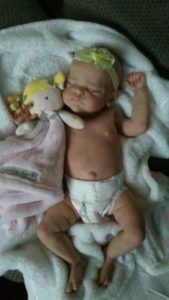 This giveaway baby could be yours, don’t miss this opportunity. Is there a fee to attend the 2019 Rosedale show? We would to attend.